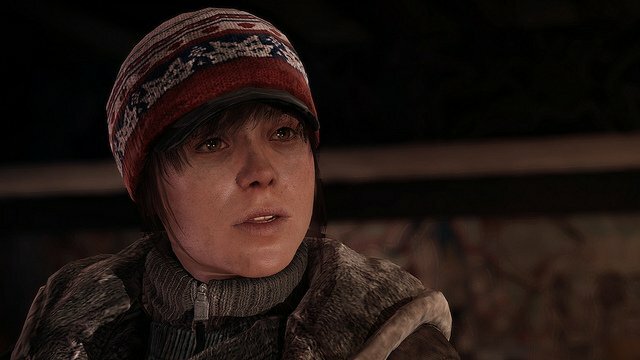 Beyond: Two Souls developer Quantic Dream is claiming that a marketing agency wanted them to use an image of the game’s female star, Ellen Page, holding a gun as the title’s box art. The studio apparently refused on the grounds that such an image would not accurately represent the game’s actual content. I suppose that Quantic Dream deserves a pat on the back for deciding not to be dishonest with their Beyond: Two Souls box art, but I can’t help but notice a disturbing trend with some of these Sony exclusive titles. There seems to be a pattern emerging where some unnamed marketing person suggests something outlandish regarding a female character in the game — like when Naught Dog was asked to move Ellie off The Last of Us‘ cover last year — and the developer makes a big public show of refusing to go along with it. It seems to me that Sony needs to either take a good hard look at who they are hiring for marketing their games, or the actual absurd request and heroic developer response are just a staged part of the marketing plan. At any rate, Sony has released about four minutes of new gameplay footage from Beyond: Two Souls, which you can check out in the embedded video below. Take a peek and then make sure to let us know your thoughts down in the comment section.